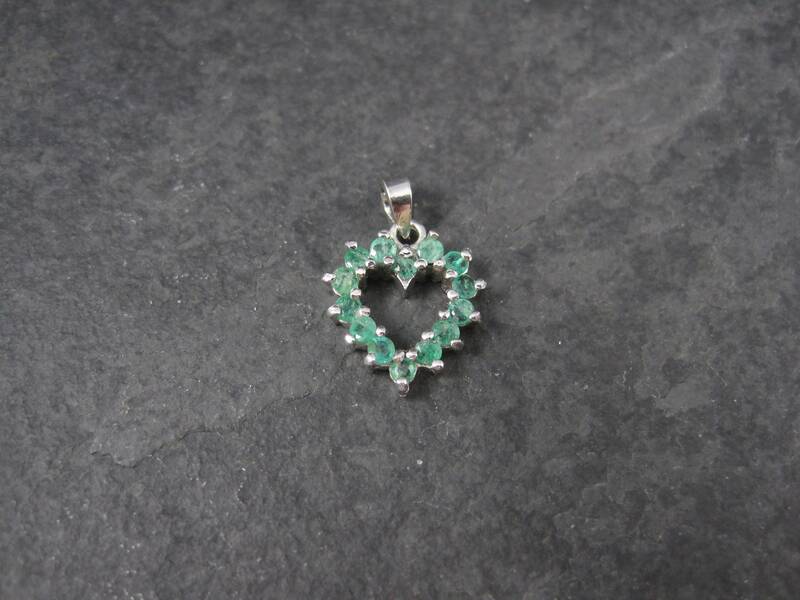 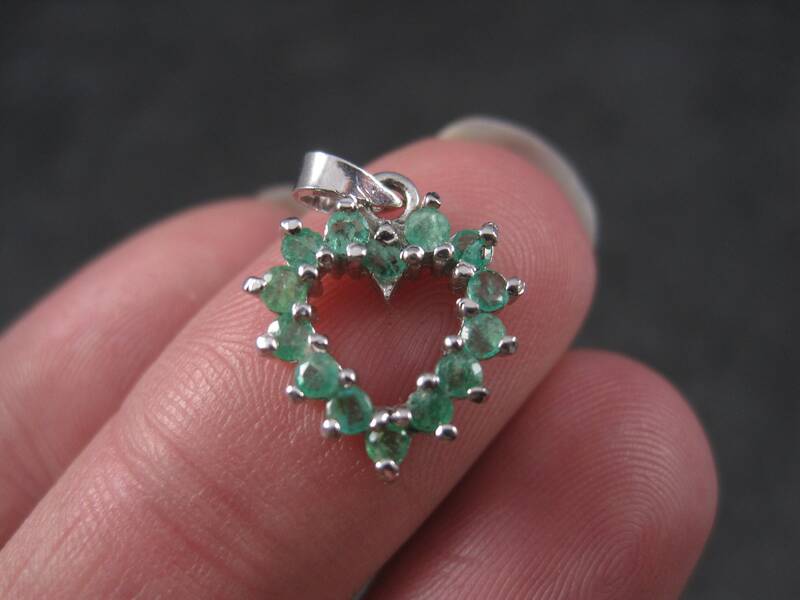 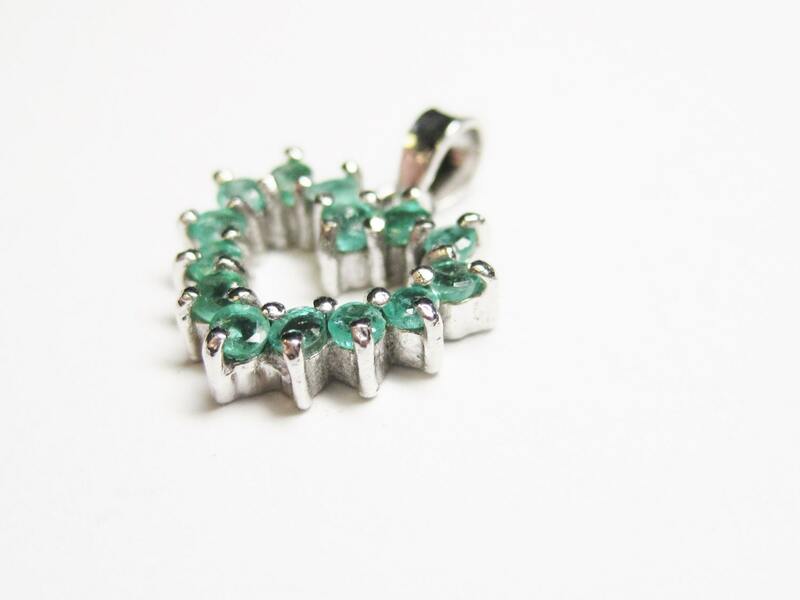 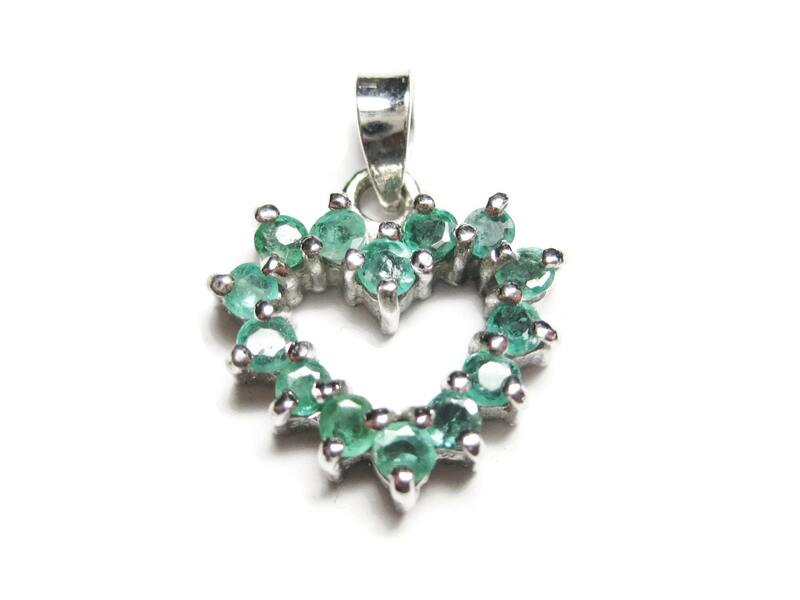 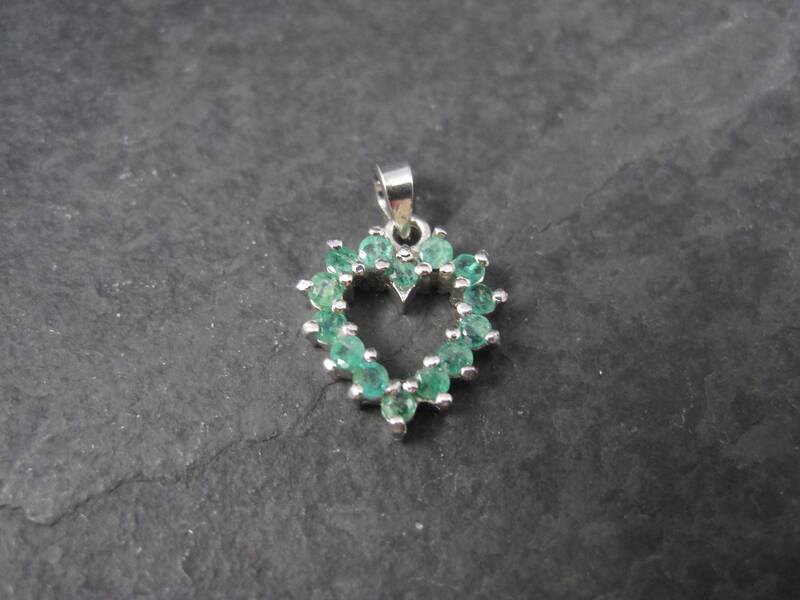 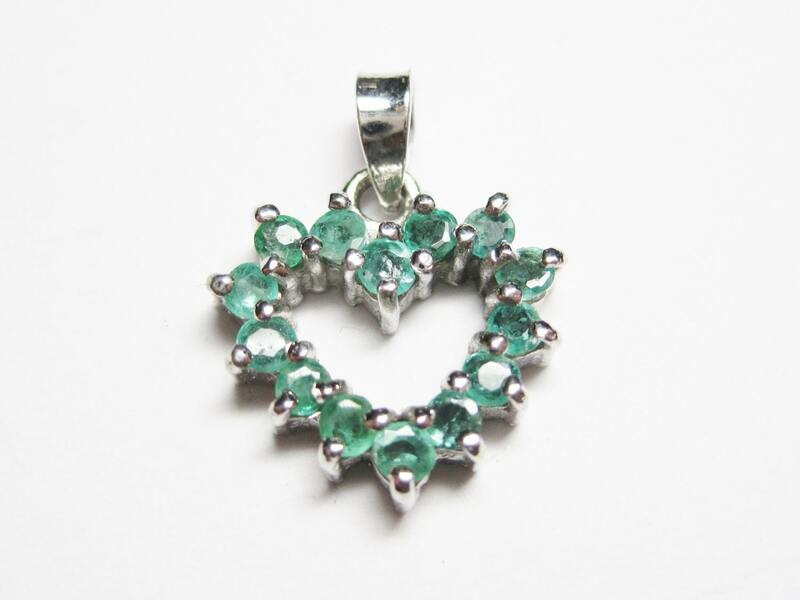 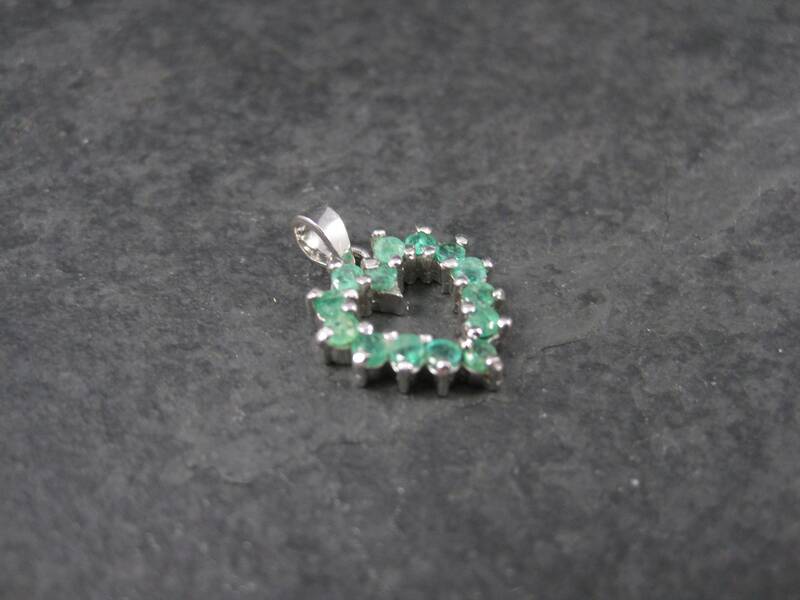 This adorable dainty heart pendant features 14 round cut emeralds. 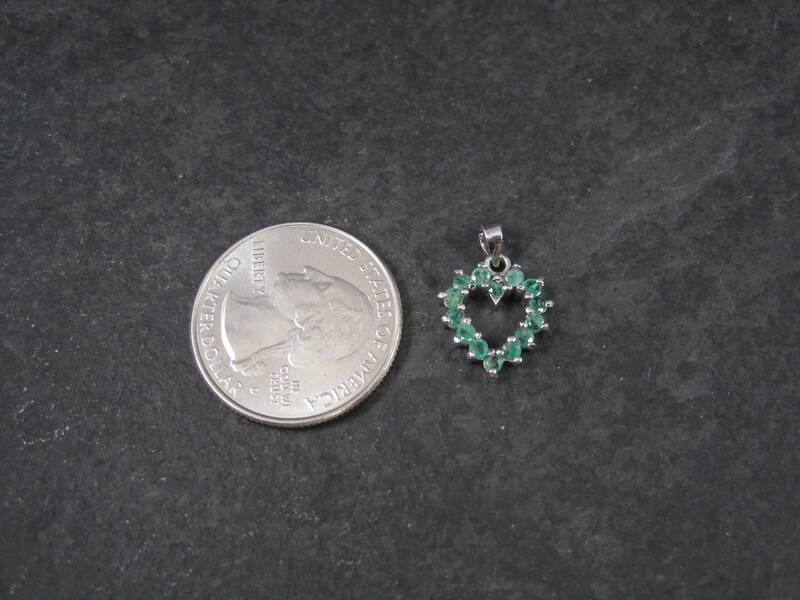 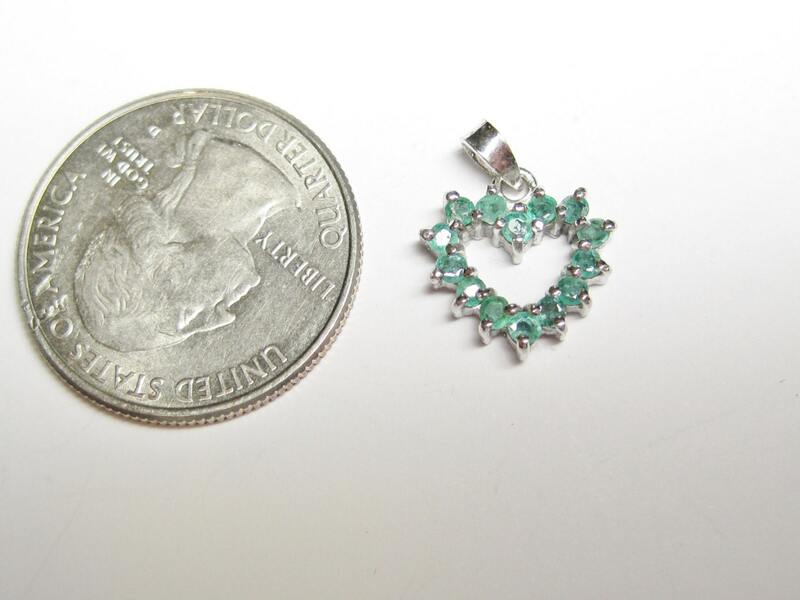 The pendant measures 1/2 of an inch. 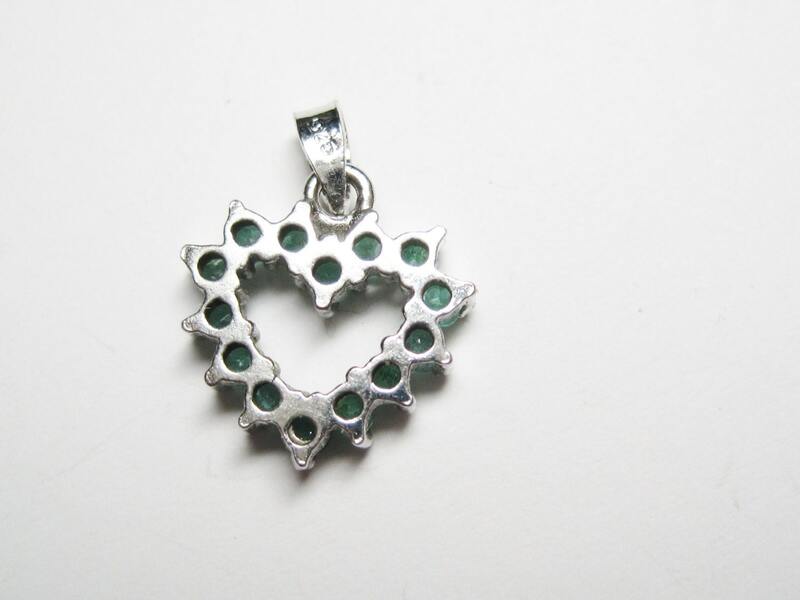 It is marked 925 (sterling silver).